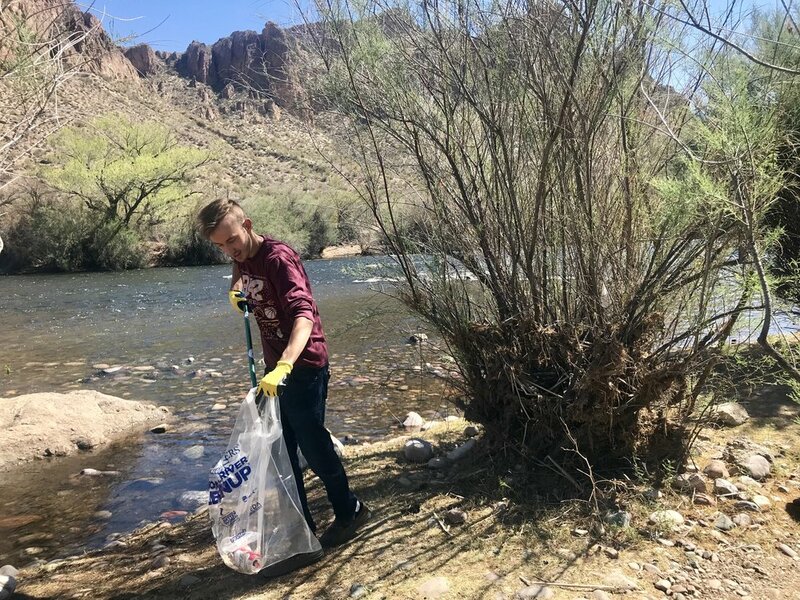 We teamed Delta Sigma Pi from ASU to bring a small group of volunteers out to the Lower Salt River for a cleanup at Water Users Recreation Area on Friday, March 30th, 2018. 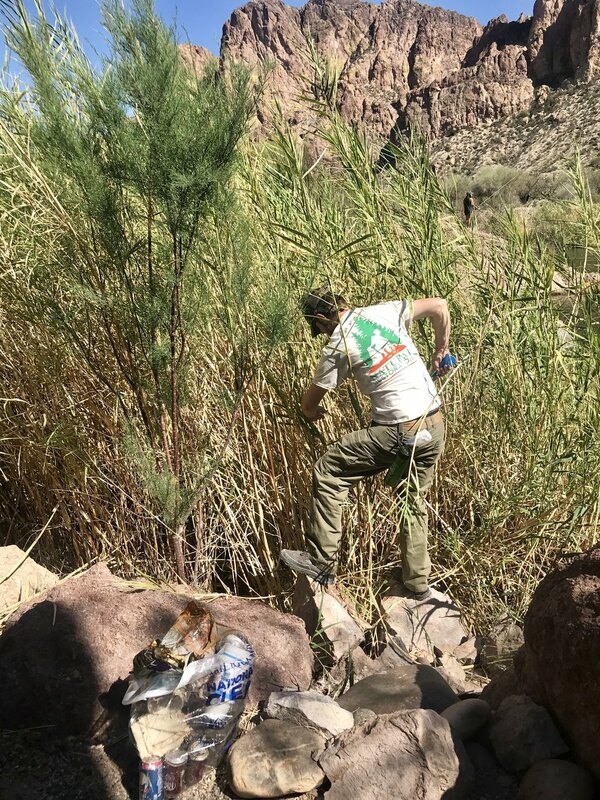 Between the 6 of us we removed 71.8 pounds of trash from the Tonto National Forest - Mesa Ranger District, including a lot of broken glass, fishing line, plastic and glass bottles, clothing and shoes, food wrappers, a cooking pan, plastic cutlery and plates, beer and soda cans, and much more. 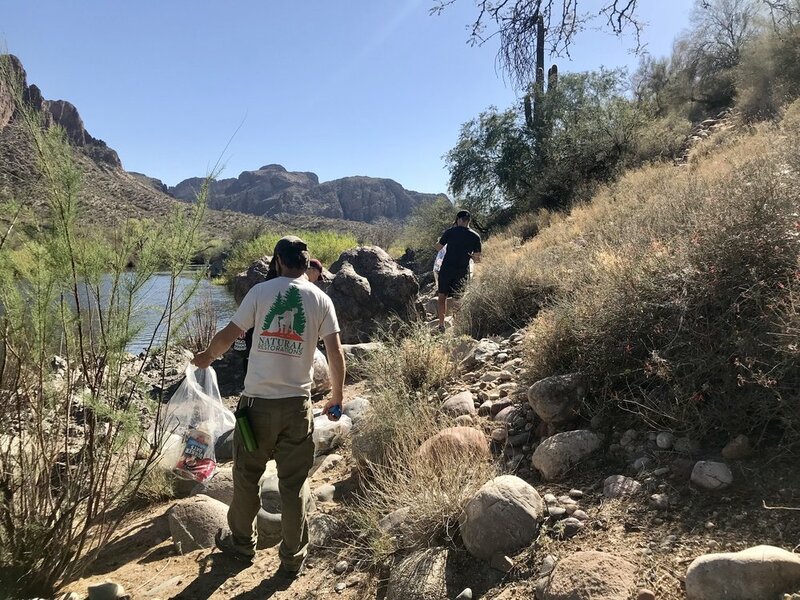 We would like to thank the following organizations for their support: American Rivers, CopperPoint Insurance Companies, Garland Signs & Specialties, LeBaron & Carroll Insurance, OdySea Aquarium Foundation, Salt River Project, and the U.S. Forest Service Tonto National Forest - Mesa Ranger District. 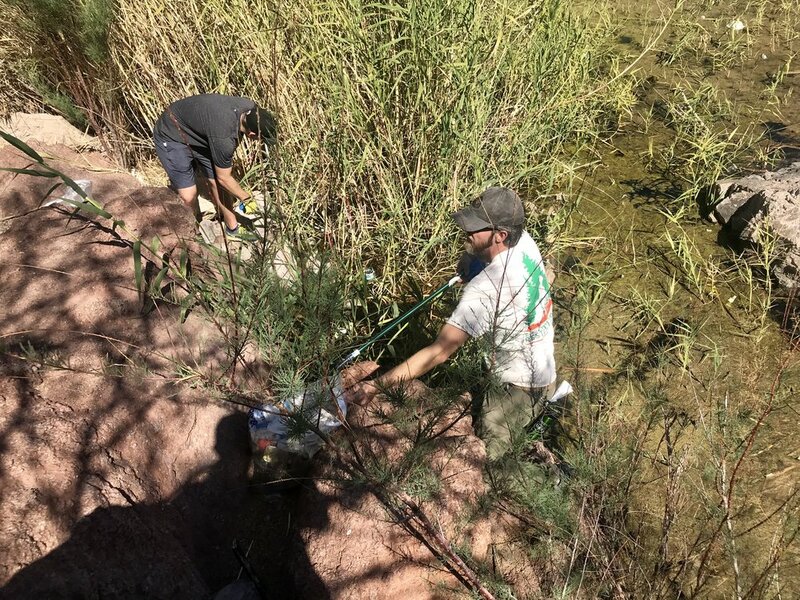 Click on a picture for full-size image gallery.